Chekku Sesame Oil is traditionally extracted from finest quality sesame seeds procured from different parts of India. Chekku extracted and hence it has a natural flavour and taste. All the health promoting and anti ageing properties of the protein rich sesame seeds are retained in Chekku Sesame Oil. 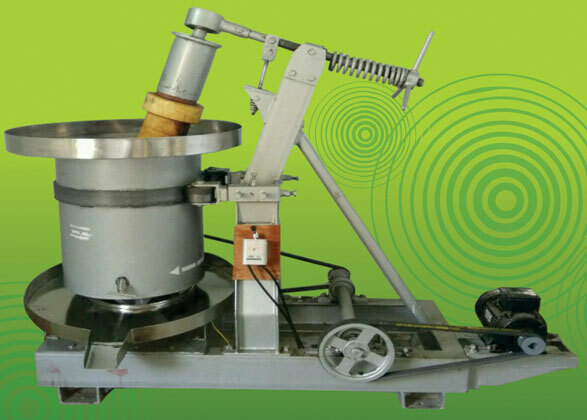 Chekku Sesame Oil extraction is done using Traditional Chekku and no chemical whatsoever is used in the manufacturing process. It is naturally filtered, not refined, preserving the nutritive, preventive and curative properties of sesame seeds. Chekku Sesame Oil is presented to you in attractive Pet Bottles. Ultimate care is taken in packaging. Pet Bottles are made of recyclable Food grade materials. Use Chekku Sesame Oil to add nice flavour boost to your recipes. You will be amazed to find that it will enhance your foods with an unique natural flavour and aroma found only in sesame seeds. Use Chekku Sesame Oil for a refreshing oil bath and massaging. You will be amazed to find that it will rejuvenate your body and make your skin soft and glowing. Use Chekku Sesame Oil for oil pulling for oral health as well as to flush out your body toxins. You will be amazed to find that it will restore your natural energy and vigor, keep your body healthy and mind stress free. Sesame, derived from the tropical plant 'Sesamum indicum', is said to have originated in Africa and India. It is a green plant with white or pinkish flowers, and it is considered to be one of the first domesticated plants well over 5,000 years ago. Sesame seeds come from the pods of this plant. Sesame seeds contain up to 55 percent oil and 20 percent protein, making them a high source of fatty acids and amino acids, both essential for health. It is one of the major sources of edible oil in India and is culturally associated with the Vedic period. In Ayurvedic medicinal formulae and massage, sesame oil plays an important role. In India, sesame oil is also called Til oil - derived from the Sanskrit word 'tila' meaning sesame. The oil is considered to be a symbol of prosperity and health in ancient folklore. High levels of natural antioxidants called Sesamin and sesamol are present in natural sesame oil, which makes it the most stable edible oil. Sesame oil itself being a very energetic food, it is a traditional component in Asian dishes, where it imparts a nuttiness that complements other flavours. 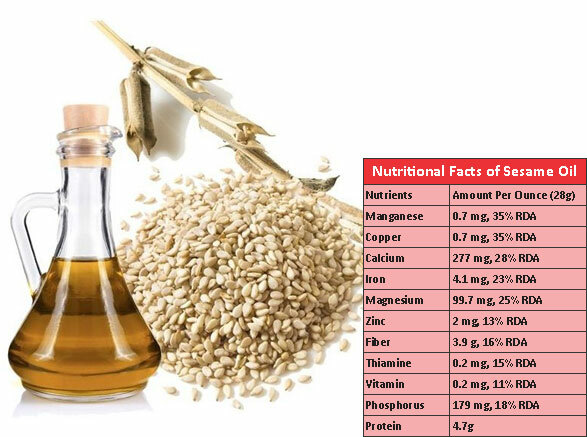 Sesame oil is abundant with vitamins, minerals (especially calcium), vegetable protein and essential fatty acids. 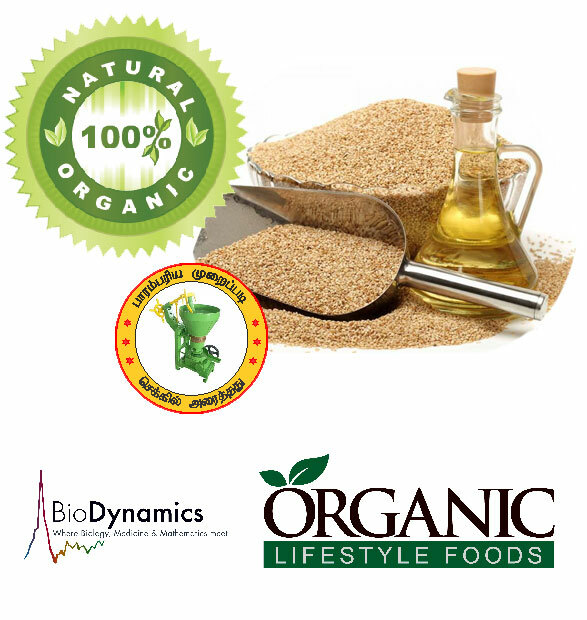 Powerful antioxidants present in Sesame oil helps with preventing the absorption of the cholesterol and with the reducing of the production of the cholesterol in the liver, in addition sesame oil reduces blood pressure. The health benefits of sesame are so amazing, that many people consider sesame oil a potent, nutrient-dense medicinal food and its use has grown in popularity. The power of sesame seed oil has been documented for centuries. Ancient Chinese and Ayurvedic practitioners utilized sesame oil to combat a variety of inflammatory, infectious and cancer causing processes. Sesame oil is believed to relieve pain syndromes such as tendonitis, bursitis, arthritis, colitis, irritable bowel syndrome and GERD (Gastro esophageal reflux disease a digestive disorder). It can also reduce stress, lower cholesterol and detoxify the body. Among Holistic medicine practitioners, sesame seed oil is used to treat strep throat, staphylococcus bacteria and also athlete's foot. Zinc in sesame seeds can boost Collagen production, which is the structural backbone of healthy skin, resulting in more elastic and smooth appearing skin. Research also shows that zinc is beneficial in the body's repair processes and can soothe burns and prevents skin related disorders. Zinc present of sesame seeds has been shown to boost bone mineral density. One study, published in the American Journal of Clinical Nutrition, found a correlation between zinc deficiency and osteoporosis in the hip and spine fractures. Calcium is a known trace mineral for bone health and Calcium is abundant in sesame seeds. Sesame oil has been shown to reduce plaque and whiten teeth. The technique of swishing sesame oil in the mouth, known as oil pulling, boosts oral health by decreasing Streptococcus mutants, harmful bacteria in both teeth and mouth. Magnesium and other nutrients present in Sesame oil helps prevent diabetes. A study concluded that substitution of sesame oil as the sole edible oil has an additive effect in further decreasing blood pressure and plasma glucose in hypertensive diabetics. Magnesium, also helps prevent asthma and other respiratory disorders by preventing airway spasms. Sesamol present in Sesame seeds is a potent antioxidant and anti-inflammatory compound, known to be beneficial in battling heart disease and atherosclerosis. Research has revealed that sesamol possesses over two dozen helpful pharmacologic properties contributing to improve cardio vascular health. There exists a constant level of background radiation wherever we live and UV Rays have become a constant threat when we go outside. Sesame seeds help our bodies protect themselves from DNA damage due to radiation. Several studies on mice exposed to radiation were given sesamol and found that they had longer lives than the others which were not fed with sesamol. 9. Anti cancer properties found in sesame seeds. Research from the American Journal of Clinical Nutrition reported that magnesium intake decreased the risk of colorectal cancer. It was noted that for every 100 mg intake of magnesium, the risk of colorectal cancer decreased by 12%. Sesame seeds are loaded with fiber. Fiber is vital for improving and maintaining colon health and it is a key dietary ingredient for proper digestive health. Copper is an important mineral for strengthening tissues such as blood vessels and joints. Regular consumption of Sesame have helped those suffering from rheumatoid arthritis. They have experienced a decrease in pain and joint swelling due to the anti-inflammatory effects Copper contained in sesame seeds.